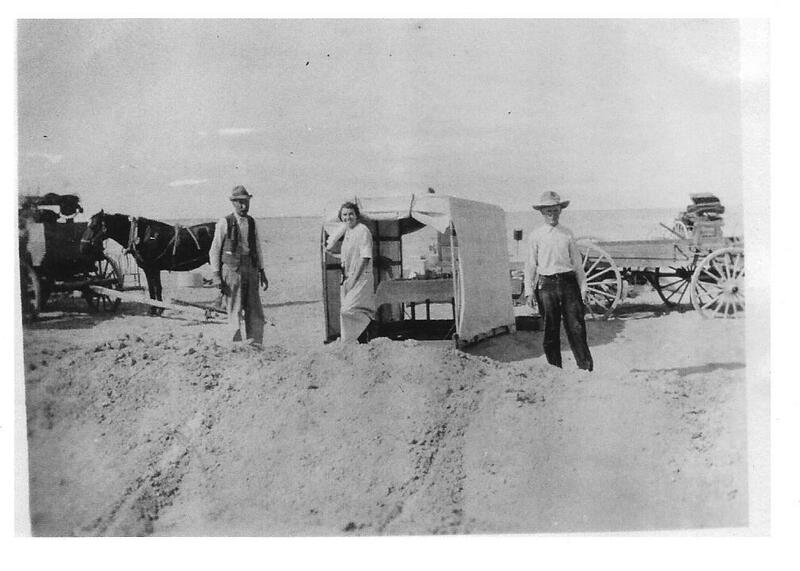 The early life of Lewis F. and Cora E. Russell took place in the Imperial County, around 1913 to 1917, shortly after Imperial Co. split off from San Diego Co. They lived on a ranch located east of Brawley in the western half of section 35, Township 12 South, Range 15 East , San Bernardino Base Meriden (usually written S 35, T 12 S, R 15 E, SBBM.) They called it "The Sand Ranch." The ranch was a family affair, owned by my Grandfather, Jason Russell, an Uncle, Hugh Russell and my father Lewis F. Russell. Each man filed on adjacent parcels. 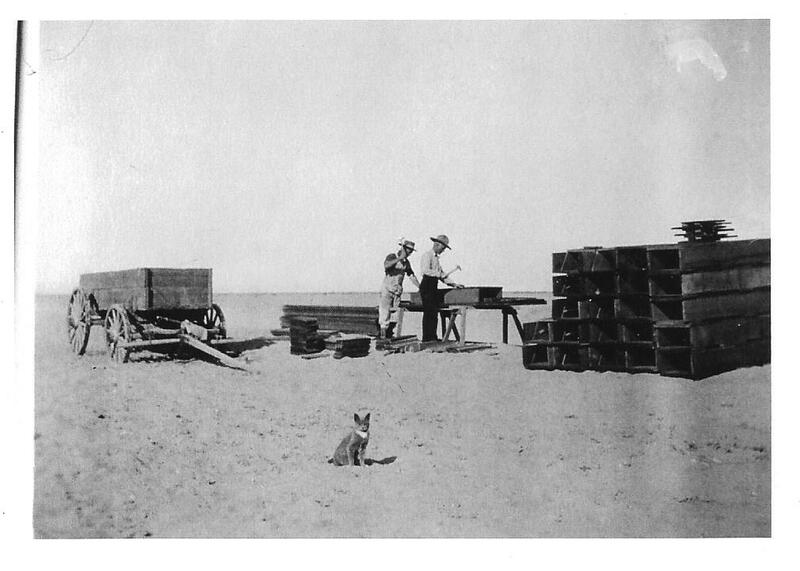 In the years after ranching in the desert, 1918 to 1925, Dad really got into carpentry from Dixon, CA. to Brawley and Long Beach, CA. and in Hulburd Grove Estates at Descanso. By 1925 we were locked into HGGR and HGE. Several years following were in building at HGGR and homes in HGE. 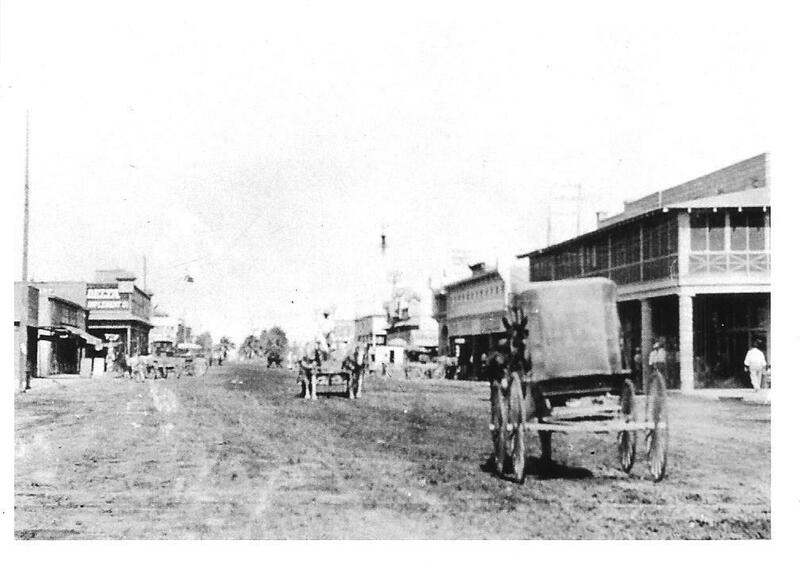 Photo 21 shows the Main St. of Brawley CA., a few years before the folks came to the Valley. 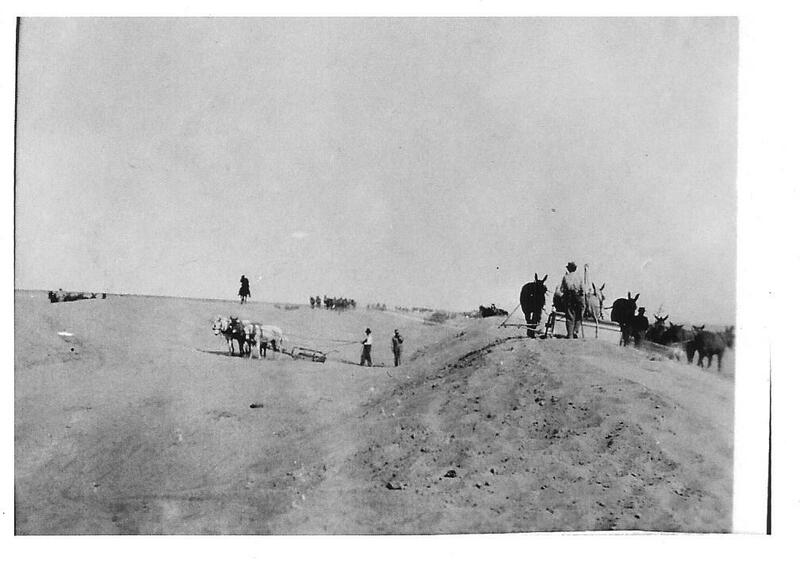 Dad took it in 1908, facing east from town center. Photo 22. 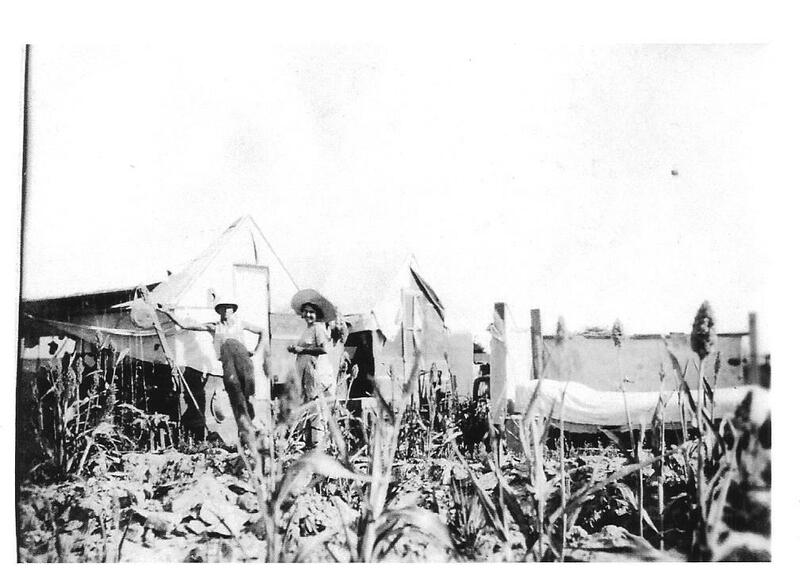 The east high line ran north and south, carrying water on the east side of the valley. Feeder lines ran west where needed to get water to individual parcels. This line was higher in elevation than the Valley so gravity could deliver the water. Photo 23. The farmers had to level the land and remove brush before it could be diked, bermed and ditched. 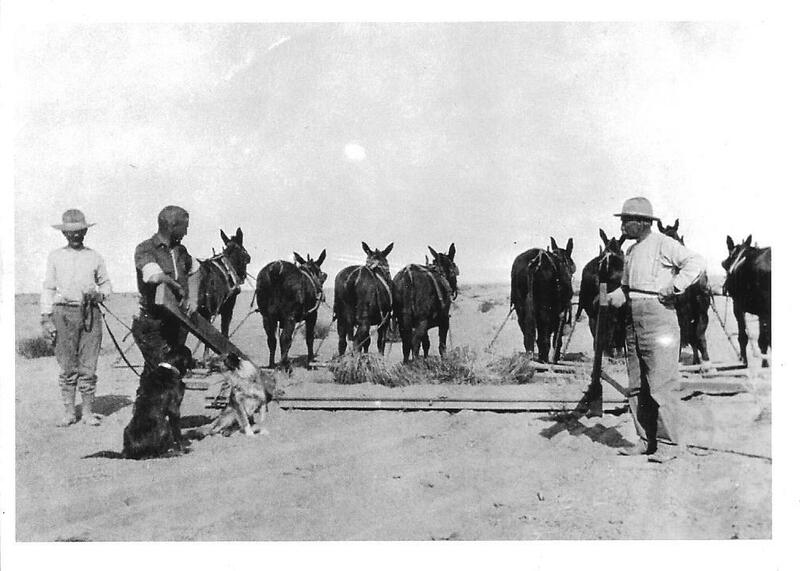 Here they are using two teams of eight mules. All this had to be done before they could plant the fields and turn on the water. From left, Uncle Hugh, Dad and Grandpa Jason. They hadn’t named the mules yet. Photo 24. 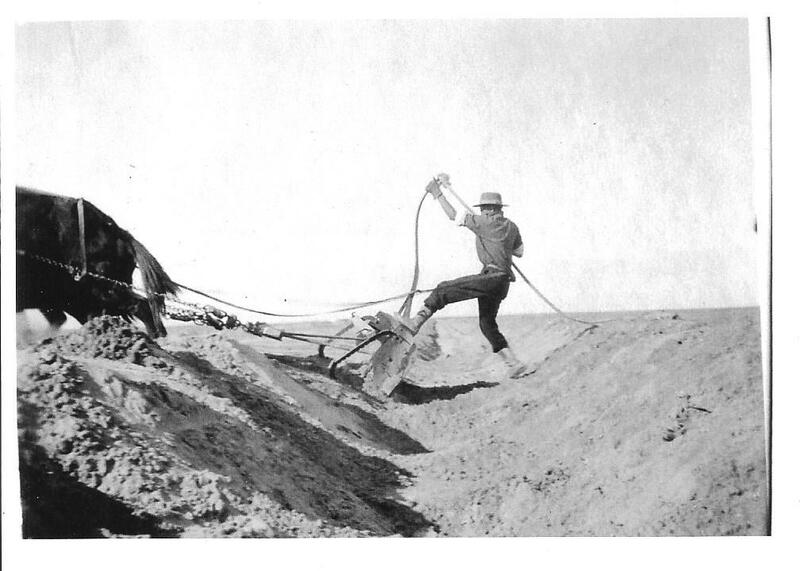 Here, Dad is running a FRESNO, building ditches to run water onto fields of the "Sand Ranch". He is using a team of two mules. Photo 25. Grandpa Jason and Uncle Hugh are building boxes to run water from ditches to the fields. Photo 26. 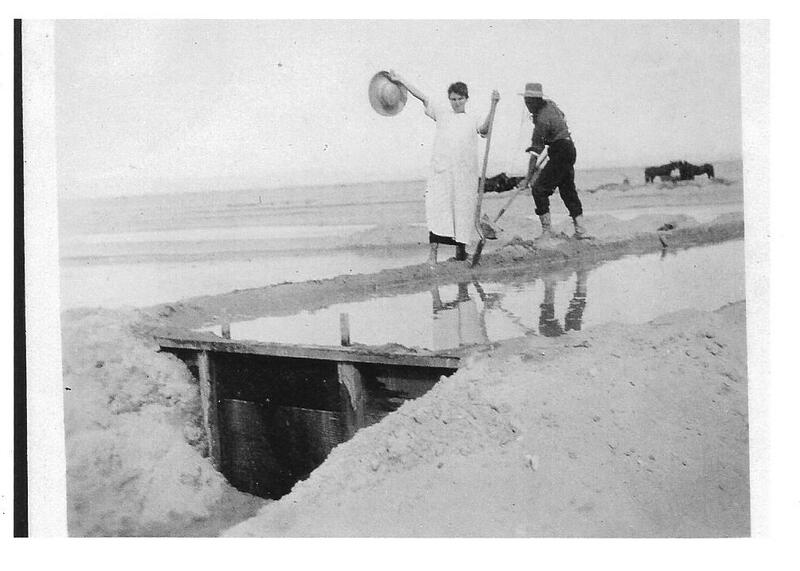 Cora and Frank are working ditches to contain "First Water". Photo 27. This is the "nerve center" of the Sand Ranch. 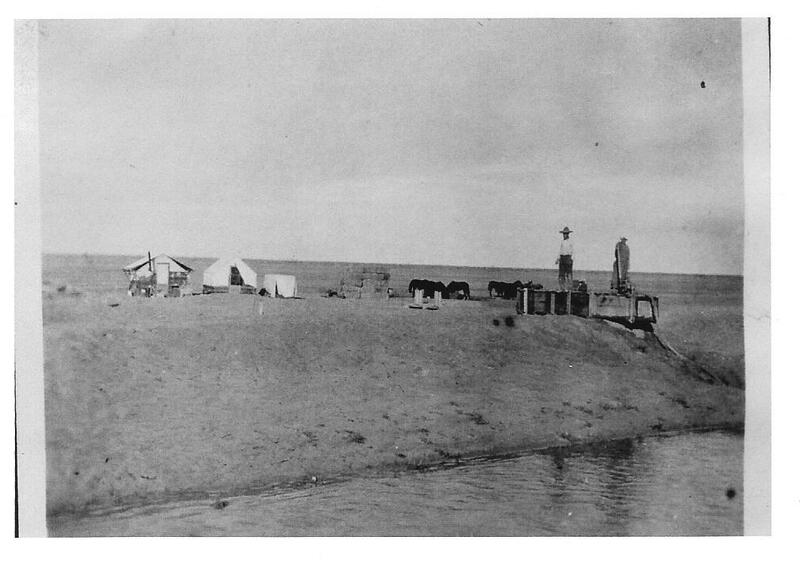 The small tent on the right is enlarged in picture 029. Photo 28. Here are Frank and Cora in their bedroom. Look closely to the right to see their bed. Photo 29. I'm not quite sure just how this dining room would rate on a five star system. From left, Grandpa Jason, Mom Cora and Uncle Hugh. They hauled water 18 miles with team and wagon. Photo 30. The "New River" was in the neighborhood and provided some summer relief. 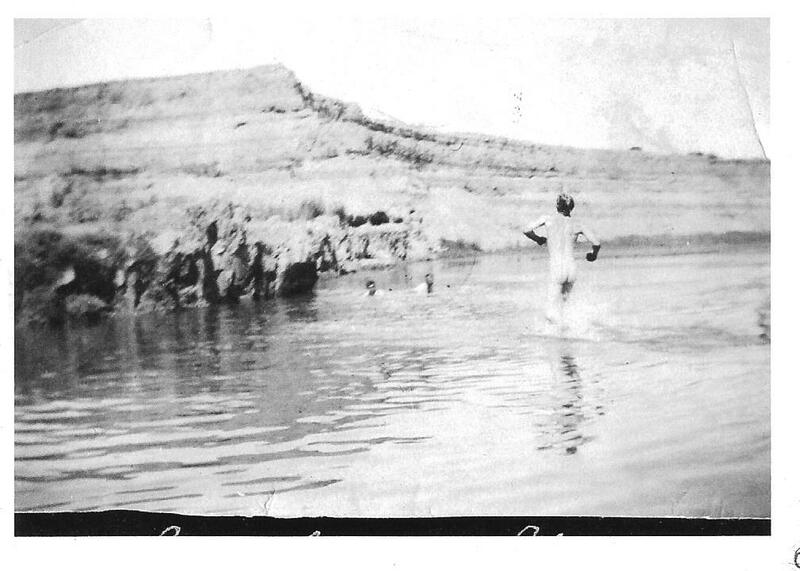 This was X-rated swimming in 1913.